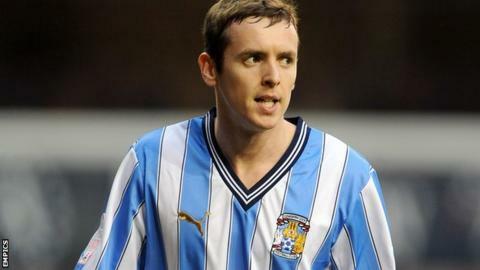 Coventry City have completed a deal for Sunderland full-back Blair Adams. Adams, 21, whose loan had been extended at the Ricoh Arena to take in Wednesday night's 1-0 win over League One leaders Tranmere, has signed a two-and-a-half year contract. He becomes the club's fourth January window signing, following striker Leon Clarke and extended deals for Franck Moussa and on-loan James Bailey. "I'm delighted to secure a player of his potential," said boss Mark Robins. "Blair has proven capable of playing at a consistent level and will, I am sure, be an asset to us. "He also has the personal qualities I am looking for in players I recruit." After making his Sky Blues debut in the 5-0 win over Hartlepool on 17 November, Adams, who was out of contract at the Stadium of Light at the end of the season, has started every match since.